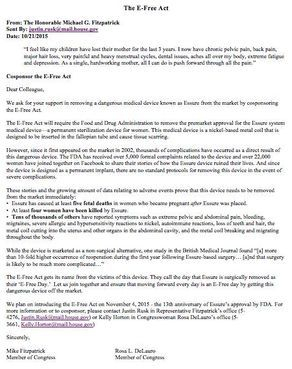 We ask for your support in removing a dangerous medical device known as Essure from the market by cosponsoring the E-Free Act. The E-Free Act will require the Food and Drug Administration to remove the premarket approval for the Essure system medical device—a permanent sterilization device for women. This medical device is a nickel-based metal coil that is designed to be inserted in the fallopian tube and cause tissue scarring. However, since it first appeared on the market in 2002, thousands of complications have occurred as a direct result of this dangerous device. The FDA has received over 5,000 formal complaints related to the device and over 22,000 women have joined together on Facebook to share their stories of how the Essure device ruined their lives. And since the device is designed as a permanent implant, there are no standard protocols for removing this device in the event of severe complications. Essure has caused at least five fetal deaths in women who became pregnant after Essure was placed. At least four women have been killed by Essure. Tens of thousands of others have reported symptoms such as extreme pelvic and abdominal pain, bleeding, migraines, severe allergic and hypersensitivity reactions to nickel, autoimmune reactions, loss of teeth and hair, the metal coil cutting into the uterus and other organs in the abdominal cavity, and the metal coil breaking and migrating throughout the body. The E-Free Act gets its name from the victims of this device. 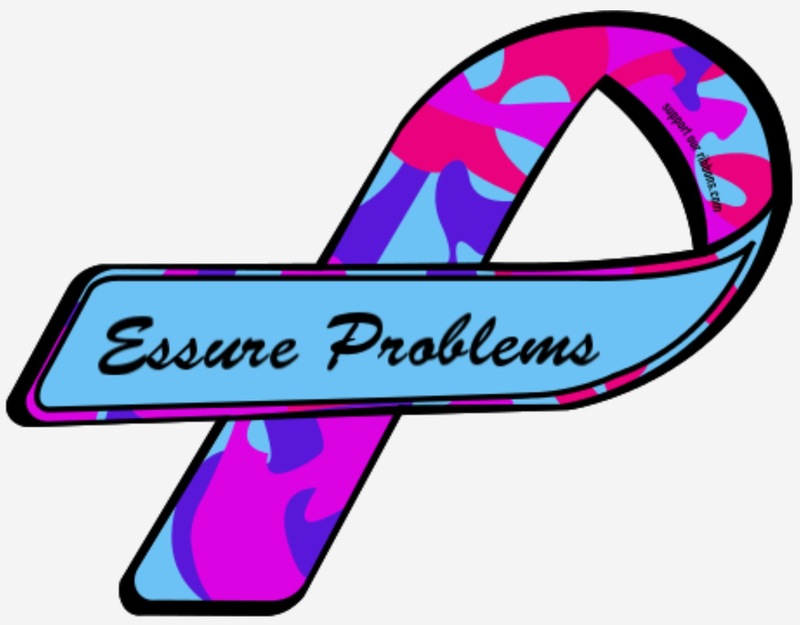 They call the day that Essure is surgically removed as their ‘E-Free Day.’ Let us join together and ensure that moving forward every day is an E-Free day by getting this dangerous device off the market.